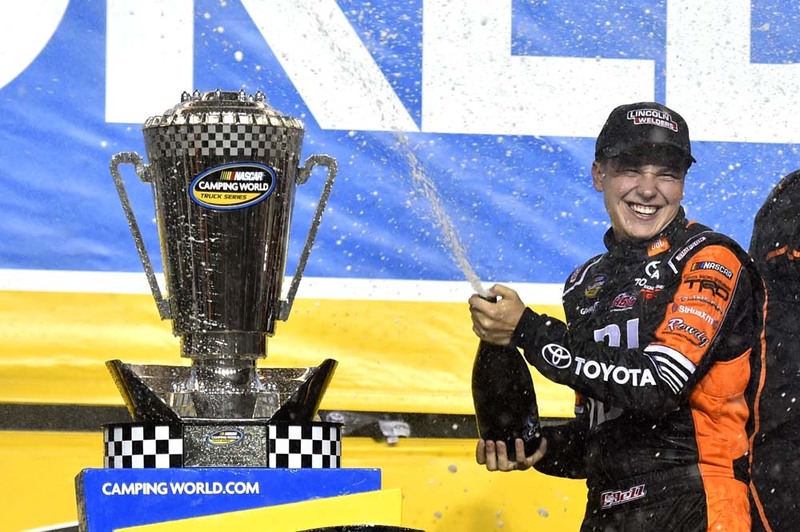 Christopher Bell’s second-place finish in Friday night’s NASCAR Camping World Truck Series (NCWTS) season finale at Homestead-Miami (Fla.) Speedway was tops among the four championship contenders earning the 22-year-old driver the 2017 NCWTS title. 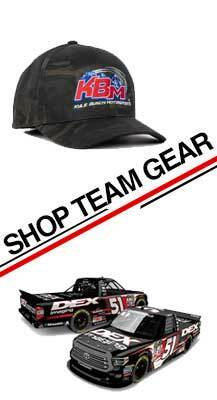 Bell’s first NASCAR championship was the second Driver’s and sixth Owner’s championship for Kyle Busch Motorsports (KBM) since the organization began competing in NASCAR’s third division in 2010. Bell finished his sophomore campaign in the Truck Series with five wins, five poles, 875 laps led, 15 top-five and 21 top-10 finishes across 23 starts. With an average finish of 5.7, he joined Mike Skinner (1995), Ron Hornaday Jr. (1996 and 2007), and Greg Biffle (2000) as the only drivers in Truck Series history who were able to win the Truck Series championship and finish the season with an average finish under 6.0. Bell started the 134-lap race from the 12th position but began maneuvering his way towards the front of the field once the green flag waved. He was inside the top 10 on lap 2 and advanced into the top five on lap 16. The Oklahoma native continued moving forward and on lap 19 became the top running championship contender when he made his way past Matt Crafton for the third position. He moved into the runner-up position on lap 23 and then made his way around pole sitter Chase Briscoe to take the lead for the first time on lap 34. Once out front, Bell pulled away and crossed the stripe to end Stage One nearly four seconds ahead of Briscoe. Bell reported that the handling of his Tundra was “really good” before hitting pit road for four fresh tires, a full load of fuel and a trackbar adjustment. The over-the-wall crew returned their driver to the track scored in the second position. The JBL Tundra got put three wide on the lap-47 restart and subsided to the fourth position. Bell moved back up to third on lap 51 and into the runner-up position on lap 61. When Stage Two came to a close on lap 80, Bell remained in the second spot. After a four-tire and fuel stop, the No. 4 Toyota returned to the track scored in the third position for the start of the Final Stage on lap 87. When the Final Stage went green, Bell faced his strongest challenge for the championship. For several laps he battled side-by-side with championship contender Austin Cindric, but after a fierce battle was able to keep the rookie behind him. Bell remained in the third position with 30 laps to go and began pulling away from reigning Truck Series champion Johnny Sauter, who had made his way around Cindric for the fourth position. 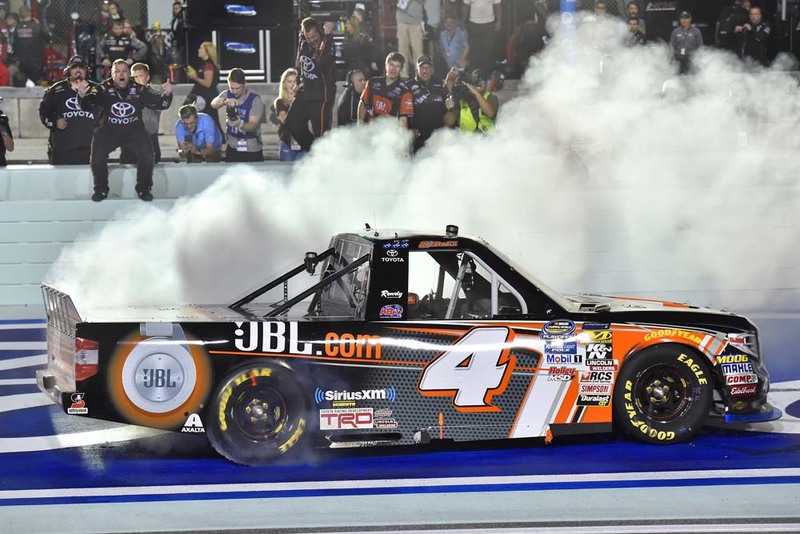 With 10 laps to go the JBL Tundra was eight seconds ahead of Sauter for the championship, but remained third in the race. With a strong Tundra, Bell was closing in on the top two trucks, but spotter Tony Hirschman and crew Rudy Fugle reminded their young driver not to force the issue of trying to battle for the race win and sacrifice losing the sizable lead in the championship battle. Bell inherited the second position with four laps remaining when Ben Rhodes made an unscheduled pit stop. When the checkered flag flew Briscoe was able to take the win, but it was the No. 4 JBL Racing team who finished second and captured the ultimate prize. How does it feel to be the 2017 NASCAR Camping World Truck Series driver’s champion? Can you describe this moment? What does it mean to you to help young drivers excel and win championships? Pole sitter Chase Briscoe picked up his first career NCWTS victory. Bell finished in the runner-up position, 2.887 seconds behind Briscoe. 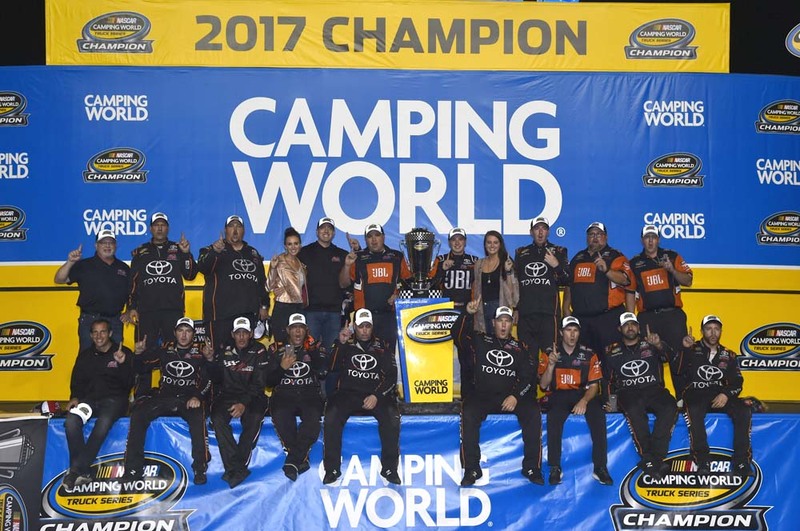 2016 champion Johnny Sauter finished third, while Ryan Truex and Austin Cindric rounded out the top-five finishers. The race featured two cautions for a total of 12 laps. There were six lead changes among three drivers. Bell led once for 10 laps.